If there were no Vivienne, she would have to have been invented. Without her the world would be a greyer and more boring place. 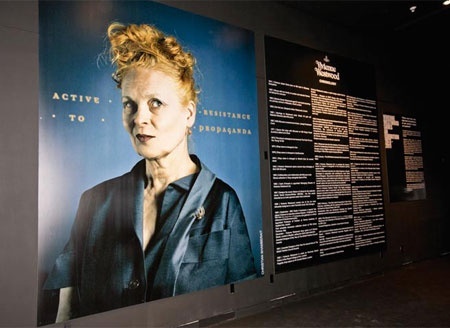 Born Vivienne Isabel Swire, and known to the world as Vivienne Westwood, this lady brightened up Moscow’s late spring with a idea-radiating display of shoes. A wellknown British designer, and one of the creators of the Punk style in fashion, she transported 133 unique pairs of shoes to Moscow with the help of DHL. 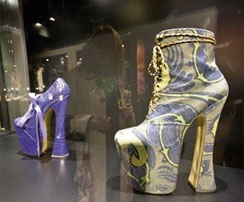 The legendary sail-cloth shoes “Sahara,” created in 1999, her Toile Print Boot created out of printed cloths, her Super Elevated Gillie shoes, which she demonstrated in 1993, and many others. 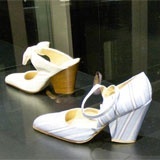 Every pair of shoes which she creates is a unique moment in contemporary design. 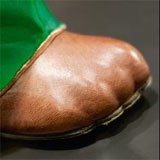 Looking at her boots with flopping tips or with clenched fingers, you are right there with Lewis Carol or Pamela Travers. Vivienne is saying that we ourselves are capable of adding magic to the world, and make it a better place. 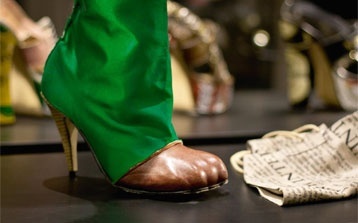 Moscow was the opening night for grand international tour of this exhibition of Vivienne’s shoes. DHL is about to take the exhibition to Beirut, Peking, Hong Kong and Tokyo.